There is a great choice of top quality golf courses in Hua Hin, Thailand. However, a great round of golf can easily be spoilt, if the resort is not up to the high standards you expect, when booking a golf break. 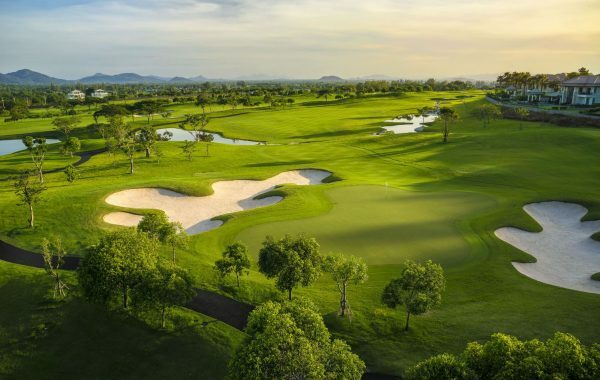 Thankfully, there are some fantastic Hua Hin golf resorts to choose from, for the perfect golfing holiday. Below, we have selected some of the best Hua Hin golf resorts, for your convenience. Black Mountain Golf Club has successfully hosted the Thailand Open and this is due, in no small part, to the tremendous resort facilities. The resort is nestled within the foothills of Hua Hin and features exclusive pool villas in the Black Mountain, which make a great place to stay with friends and family. The resort provides a wide choice of dining facilities and a complete range of leisure activities, ranging from tennis, volleyball, mini-golf, a water park and spa. The restaurant offers a choice of western and Thai dishes and has a well-stocked cellar, offering wine from throughout the world. The pool villas come in two and three-bedroom capacity, complete with outdoor terrace and private pool. 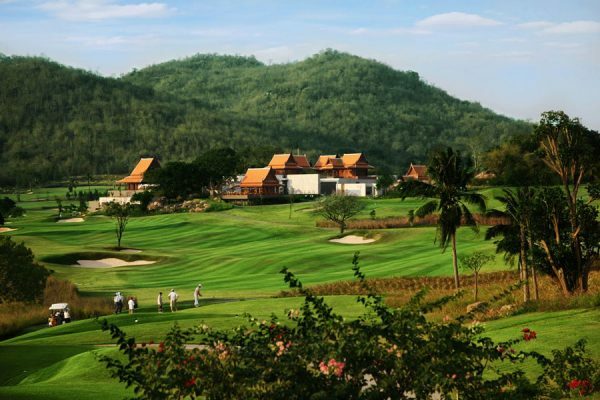 Black Mountain Golf Club, is comfortably one of the best golf resorts in Hua Hin. Challenging Black Mountain for the title of best golf resort in Hua Hin, is Banyan Resort and Golf Club. The resort is just minutes from the centre of Hua Hin and has been voted as one of the best in South East Asia. There is a choice of luxurious one and two bedroom villas, complete with swimming pool, tropical gardens, fitness centre and spa. The Lemongrass Restaurant is a 5-star dining venue, offering Thai and international cuisine, ensuring you will never go hungry and can enjoy both local and western food. There is a courtesy shuttle bus to the golf course, making Banyan Resort a great choice for golf lovers and their families. Springfield Royal Country Club, is another great golf resort in the Hua Hin region of Thailand. The resort has a choice of 97 luxurious rooms in which guests can stay, located close to the golf course itself. There is a coffee shop, bar and restaurant, so whether you fancy a coffee and cake, beer or a lovely meal, Springfield Royal Country Club has it all. There is also a spa and sauna available to guests, providing the very best in relaxation, after a great day of golf. The above, are three of the best Hua Hin golf resorts available and come highly recommend by all who have the pleasure of staying with them.